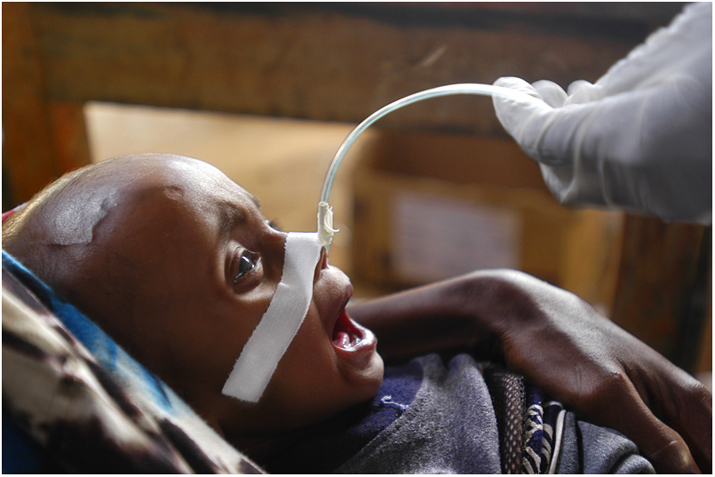 Home / IFO Refugee Camp | Dadaab Kenya / An undernourished boy at the hospital in IFO refugee camp. A woman sits in front of her house. An undernourished boy at the hospital in IFO refugee camp. Caption: A boy gets a treatment at the hospital in IFO refugee camp. Object name: The hospital in IFO refugee camp.